If you did all the running around at the malls and your favorite local shops after Thanksgiving on the biggest shopping day of the year, there's still more time to pick up some great deals until midnight. Today is Cyber Monday, the internet's idea of the largest shopping day for Christmas. The deals on beauty and fashion are out there. Just some clever hunting, and you will reap some lovely benefits. Look for FREE Shipping, and some 15%, 20%, even 50% off some of your favorite beauty things. 1. SkinStore.com---Save 20% throughout the online store. Sale ends tomorrow, Dec. 2nd. SkinStore.com has tons of makeup and skin care brands.....Kinerase, philosophy, Perricone MD, Jan Marini, StriVectin SD, SkinCeuticals, and more. 2. GAP.com---Buy One Sweater, and save 50% on the second one. And FREE Shipping on Any Purchase! Who doesn't love GAP! 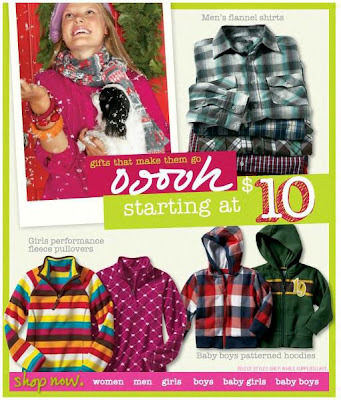 Great buys for the entire family---women, men, maternity, baby, and kids. GAP is one of the world's largest specialty retailers. 3. 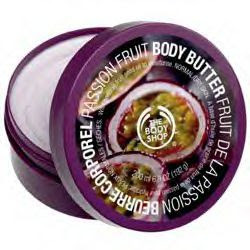 BodyShop.com is also gearing up for Christmas, with 15% off all purchases today and a FREE mini Passion Fruit Body Butter with Any order. BodyShop.com has some of the most elegant-scented body and bath washes around. Fragrances, soaps, makeup, hairstyling needs. Always makes a super holiday gift for someone. 4. OldNavy.com is warming shoppers up today with a 20% off sale, site-wide, along with some already low prices. And FREE shipping! Old Navy is a cousin to the GAP. Great American style....from camisoles to winter coats. Junior sizes. What best of all, Dollar or Euro? This question worry many peoples.